We’re live in Las Vegas at Shoptalk 2018, an annual event that celebrates innovations in retail and commerce. 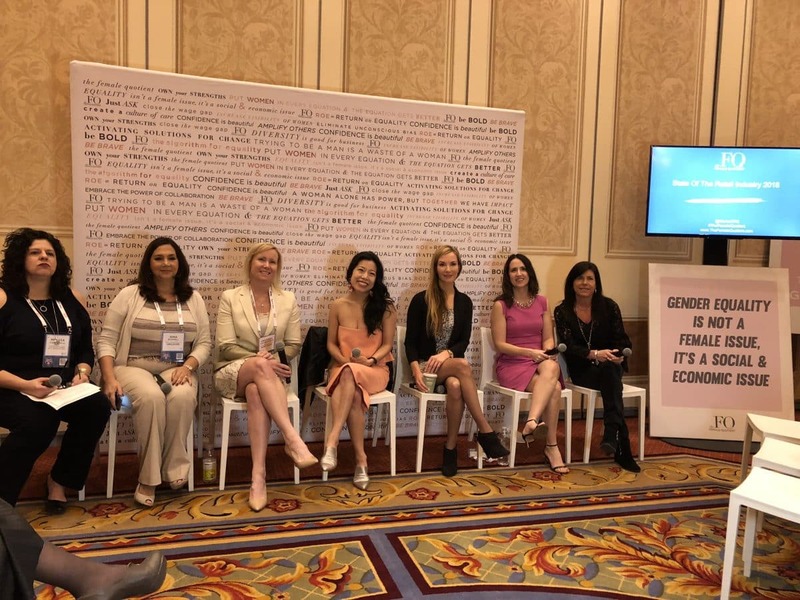 At The Girls’ Lounge, sponsored by The Female Quotient, Criteo COO Mollie Spilman, alongside other female leaders in the retail space, discussed the state of the industry. 1. Omnishopping is the new normal. On what she’s most excited about in retail today, Criteo Chief Operations Officer Mollie Spilman talked about how commerce companies, both online and offline, are really starting to deliver on omnishopper expectations. Making the overall experience seamless, keeping true to the brand across all channels, “…it’s the companies who’ve embraced the omnishopper that are seeing a lot of success,” said Spilman. 2. Convenient retail experiences are winning. In the last few years, subscription services have taken off. These days, you can order everything from clothing and pet products to food and beauty supplies on a regular, automated basis. It’s the flip side of brick-and-mortar: bringing the store to your house. Shoppers can try on or test products in the privacy of their own homes, returns are easy, and new product discovery is a cinch. Criteos’ Mollie Spilman cited smart speakers and voice shopping as part of the convenience retail trend. Asking Alexa or Google about the weather is great, but being able to order paper towels that will show up at your house the next day is a game changer. She cited Gartner data in support of the growing trend. The research firm predicts that in the next 2 years, 75% of homes will use smart speakers for shopping. “Marketers have a big opportunity and consumers will benefit, so it’s a win-win,” said Spilman. Best Buy’s Anna Kruse explained that in general, people want things now. They don’t really care how it’s happening. They want communication. After ordering a product, shoppers often think: “Where is it on the way to my house? Is it going to be here today, or tomorrow, or when?” Kruse went on to say that supply chain is something to watch over the next few years. Retailers are starting to build in that transparency for customers, and the trend will continue to rise. 4. Gen Z expects social responsibility. In the last several years, purpose-driven brands have shown that they can grow demonstratively faster than non purpose-driven brands (Warby Parker and Tom’s Shoes come to mind). Businesses, especially start-ups, that are socially responsible have tended to thrive and move forward. Anna Kruse described how consumers today expect for companies to have a point of view on social responsibility. She talked about Best Buy’s youth education initiative, saying that the tech retailer does it because it’s simply the right thing to do, but is trying to figure out just how much to talk about it to their customers. How much do they want to know, and how much does it matter to them? From a marketing perspective, it’s all good stuff. But figuring out just how much to promote these initiatives without seeming self-serving can be tricky. Gen Z in particular is very tuned in to social responsibility. They want to know: What does a company stand for? What is it doing? As one of the world’s most influential shopping demographics, Gen Z is conscious of wanting to leave the world in a better place, by virtue of what they do today. For real-time updates on what’s happening at #Shoptalk18, be sure to follow us on Twitter!